When a renter signs a lease agreement, it’s very rare that they sign with the intent of breaking a lease. However, life sometimes happens and whether it’s for a new job or a family emergency, we are forced to move out early. But, how do you get out of a lease early if you signed a 12 month lease? Will you have to pay extra? Are there ways around it? Since the process can be a little complicated, we called upon several of our apartment experts to give us the 101 on the logistics of breaking an apartment lease and the best ways of getting around having to pay any extra fees. There are a few possibilities for legally getting out a lease for free. If your apartment becomes unlivable due to a natural disaster or if your apartment floods from a poor plumbing, you do not need to pay anything to leave as long as it wasn’t your fault. Unfortunately, a job offer does not constitute a reason for being able to leave your apartment immediately. You know you have to break your lease, so what’s the first step? You are going to want to check out your lease agreement. You’ll generally find one of three options: a rent-responsible clause, a buy-out clause, or no clause detailing how you can break your lease. Rent-Responsible Clause - A rent-responsible agreement means that you are responsible for the rent until someone replaces you as a tenant. Of the multiple options, this is the better one since you have the ability to line up the next resident if you begin early enough so the chances of not facing a payment penalty are lower. Buy-Out Clause - Another possibility is a buy-out which means that you are going to have to pay a bit extra since you are breaking the contract that you signed. For most buy-outs, you are still going to have to give a thirty day notice before your intended departure date, but you are going to have to pay an extra month of rent and a buy-out fee. This scenario can be harder to get around without having to pay, but with enough time and some luck, you may be able to get around it. No Clause - If there is no clause describing how to get out of your lease early, this could be very good or very bad. 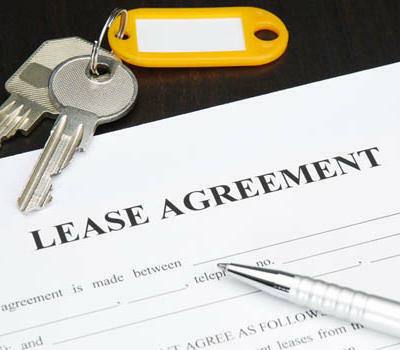 Since you signed a lease agreement with no escape clause, you may have to pay for your apartment rental for the entire lease, at least on paper. You’ll have to sit down with your landlord and talk this one out. On the other hand, since there was no information on how to get out of your lease, this may mean that your landlord is relaxed on the subject, and given enough time, will work with you. Also, check out your state laws regarding this situation because some states actually require a landlord to put forth a reasonable effort in finding a replacement instead of footing you the whole year’s bill. Although these three options may result in you having to pay, no situation is the same so there’s always the possibility of flexibility. It really comes down to working with your landlord and notifying them of your need to move as early as possible (hopefully two months in advance). If you have developed a good relationship with your landlord you’ll probably have a bit more slack than someone that never pays on time. Also, if you can find a renter to replace yourself, you may be able to get away without having to pay a dime. If you have the option of choosing a renter to replace yourself, make sure to find someone with a solid income, a clean criminal record, and a good rental and credit history. You do not want to rely on someone that will be unable to fulfill your apartment’s application requirements. Also, if you are moving away for a job and are stuck paying expenses to get out of your lease, consider asking your new employer for financial help. There is the odd chance that if you cannot break your lease, you may be able to sublet your apartment instead. This way your name will stay on the lease, but you will not be forced to pay for the entirety of each month’s rent. If you are going to try subletting your apartment and are hoping to receive your deposit back, you’ll need to set a move-out date for your subletter. In order to get back your security deposit, you will still need to clean out your apartment and hire carpet cleaners. For more information on the subletting process, check out RentLingo’s Apartment Guide to Subletting.